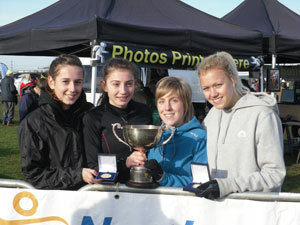 RH Junior ladies overcame the tough course on Pontefract Racecourse to take a majestic gold medal on Saturday. Excellent packing by Steph Burns, Natasha Hatswell, Rebecca Middleton and Robyn Lanceley ensured success though complete teams looked scarce. In the senior event, Jade Allen placed 6th which Nigel Brookes (manager) says is a best ever for this competition. Further results and comment awaited for update.